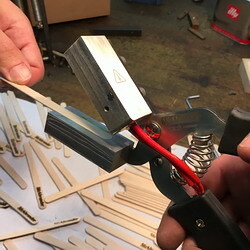 The Stickbrander is a manual woodburning machine for heat marking popsicle or ice cream sticks, manufactured by Piros Woodburning . 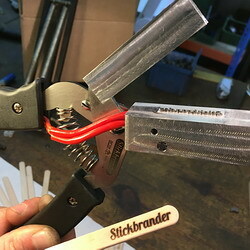 The branding machine Stickbrander for marking ice cream sticks carries in one of the faces of the pliers the seal with the logo or text to mark on the popsicle sticks. 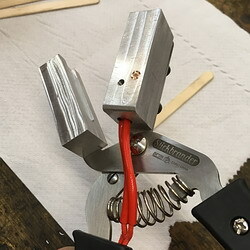 On the other side it has the support where to place the stick, it can be for any measure, traditional sticks or magnum sticks. With the Stickbrander for ice stick branding, all the marks are well centered. It’s a very economical marker, quick to use and small size, can be stored in any drawer.